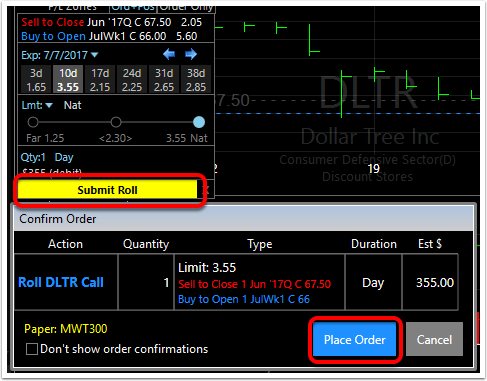 To "roll" an option is to change a long or short contract's expiration date and/or strike price. This is done in one action but involves simultaneously closing a current position and opening a new one with the different strike or expiration. Example: Rolling a short position involves buying to close and existing position and selling to open one further out in time or at a different strike price. These are the steps to rolling a single-legged option (the example will be rolling a long call). Rolling forward, up or down can be combined in any way. 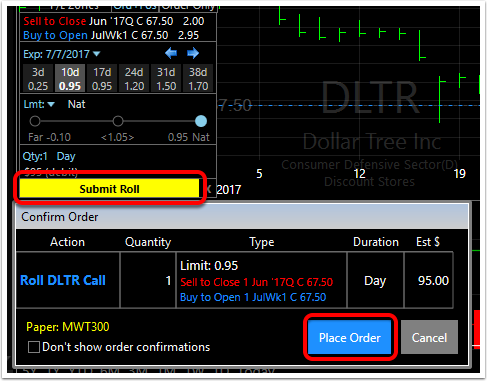 For example, a long call could be rolled out to a further expiration and up to a higher strike at the same time.